ProxySQL 1.4.14, released by ProxySQL, is now available for download in the Percona Repository along with an updated version of Percona’s proxysql-admin tool. 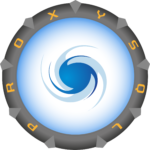 ProxySQL 1.4.13, released by ProxySQL, is now available for download in the Percona Repository along with an updated version of Percona’s proxysql-admin tool. ProxySQL 1.4.12, released by ProxySQL, is now available for download in the Percona Repository along with an updated version of Percona’s proxysql-admin tool. ProxySQL 1.4.11, released by ProxySQL, is now available for download in the Percona Repository along with an updated version of Percona’s proxysql-admin tool. ProxySQL 1.4.10, released by ProxySQL, is now available for download in the Percona Repository along with an updated version of Percona’s proxysql-admin tool. ProxySQL 1.4.9, released by ProxySQL, is now available for download in the Percona Repository along with an updated version of Percona’s proxysql-admin tool. ProxySQL 1.4.8, released by ProxySQL, is now available for download in the Percona Repository along with an updated version of Percona’s proxysql-admin tool. Does the Version Number Matter? Yes, it does! In this blog post, I am going to share my recent experiences with ProxySQL and how important the database software version number can be. I was working on a migration to Percona XtraDB Cluster (PXC) with ProxySQL, fortunately on a staging environment first so we could catch any issues (like this one).